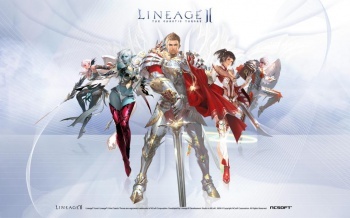 It took a little longer than folks in Europe probably would have liked, but Lineage II is now free to play. A few weeks ago, NCsoft relaunched its long-running MMO Lineage II in North America as a free-to-play title. However, European gamers were left out in the proverbial cold. Now, publisher Innova has revealed that the F2P version of the game will launch in Europe tomorrow, December 16th. According to Innova CEO Gevork Sarkisyan, the game's user base is still growing: "We have already seen our Lineage II community grow significantly during the beta phases, and we are looking forward to opening the full service to everyone tomorrow." The F2P model is launching shortly after NCsoft put out the Goddess of Destruction expansion pack, which was the largest update in the game's history (including improved graphics, faster leveling, new character classes, and lots of new territory to explore). So, if you're over in Europe and have been thinking about picking up and/or coming back to Lineage II, it sounds like this is the time to do so.